Don't miss the latest book from the author of Eragon: The Fork, the Witch, and the Worm: Tales from Alagaësia, coming December 31, 2018! 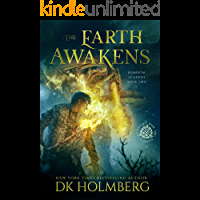 Perfect for fans of Lord of the Rings, the New York Times best-selling Inheritance Cycle about the dragon rider Eragon has sold more than 35 million copies and is an international fantasy sensation. Fifteen-year-old Eragon believes he is merely a poor farm boy - until his destiny as a Dragon Rider is revealed. Gifted with only an ancient sword, a loyal dragon, and sage advice from an old storyteller, Eragon is soon swept into a dangerous tapestry of magic, glory, and power. Now, his choices could save - or destroy - the empire. "An authentic work of great talent." 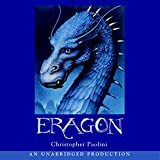 (The New York Times Book Review) "Christopher Paolini make[s] literary magic with his precocious debut." (People) "Unusual, powerful, fresh, and fluid." (Booklist, starred) "An auspicious beginning to both career and series." 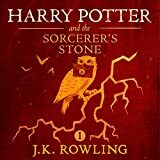 (Publishers Weekly) A New York Times best-seller. A USA Today best-seller. A Wall Street Journal best-seller. A Book Sense best-seller. Having passed his first test at the Academy, most believe Tolan has proved he belongs. Only Tolan knows the truth: that his shaping required power from the borrowed bondar--and possibly from the elementals themselves. If he can't find a way to shape without one, he'll be expelled from the Academy. When he intervenes to stop another attack on the city, he once again finds himself in the middle of the battle between Terndahl and the Draasin Lord. Worse, because of his continued reliance on the bondars, he begins to fear he might be responsible for releasing elementals.Another test approaches. For him to remain at the Academy, he must find real power within himself, but a greater challenge distracts him. With increased attacks on the city, Tolan might be the only one to know what they're after--and how to stop them. The "must-read romance" featured in USA TODAY and awarded a "Staff Pick" by Goodreads.Eighteen-year-old Declan Jane is just trying to make it through senior year in San Mar, the Northern California coastal town she's lived in all her life. Perpetually under the radar, she's surprised by the pull she feels to a mysterious and attractive new student, Alexander Ronin. Despite all the girls vying for his attention, Declan is the one he's drawn to, and she finds herself returning his interest. 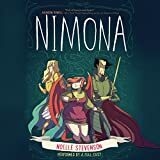 As the intensity of their attraction builds and she discovers the truth behind his appearance in San Mar, he reveals the danger she's in and why their relationship holds deadly consequences. But as Declan overcomes her fears and fights for her life, the connection between the two lovers may be the only thing that can save them both.Deeply romantic and extraordinarily suspenseful, this story will stay with readers long after the last page is turned.Dive into the top-selling paranormal romance favorite with millions of pages read! "From the ordinary comes the extraordinary... an emotional, tender love story about possibilities." - HEA Special for USA TODAY"The sign of a good YA/NA novel is when those of us who are somewhat more than YA/NA can also appreciate the story.... At times funny, dark, terrifying... we are taken on a startling and romantic romp with heroine Declan...and hero Alexander, to discover a world she could never have imagined, and a love he could never have envisioned. Very well done." - Paranormal Romance Fans for Life "I love it when I find a wonderful new author!!! You will fall in love with this book." 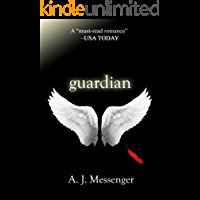 - The Genuine Book Lover More Five Star Reviews:"A must read. This book grabs you and you lose yourself in it. I couldn't stop reading. ""Loved it! The characters were so well defined I could see and feel their personalities.""[A.J. 's] writing is witty, sincere, and her written voice is on point. Her characters are likable, relatable, and the love interest is sincere. ""A great romance that had me guessing and undeniably happy at the end. ""Very sweet, very powerful love story, and very realistic characters and friendships. Great read! ""I'm a sucker for a good love story. It made me cry sad and happy tears. ""I was so captivated I couldn't concentrate on anything else ... loved the romance and loved the passion! ""Loved the entire series. It sweeps you up and makes you wish you were the girl in the story. ""The love blossoming between Declan and Alexander is so heartfelt. It's beautifully told... so refreshing. 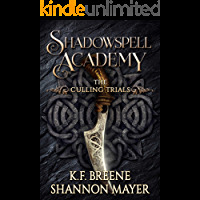 ""Amazing first book [in the series]... and the ending is an ending. There's more to the story you want to know but you don't feel like you only read half a book. ""Best series I've read in a long time!!! If you're like me and get "involved and absorbed" in books, this is definitely the series for you. I laughed and cried with the characters. Adding to my favorite authors! "Binge-read it today! The Guardian Series is complete and is meant to be read in order:1. Guardian; 2. Fallen; 3. Revelation; 4. Return.